Abbas II, Hilmi [1874-1944]. Khedive of Egypt, 1892-1914. Educated at Vienna. Abdul Hamid II, [1842-1918]. Sultan of Turkey, 1876-1909. Ackermann, Kapitän zur See Richard, Captain, SMS Goeben, 1914. A’Court-Repington, Lt-Col. Charles [1858-1925]. British Military Attaché at Brussels and the Hague [1899-1902; Military Correspondent of the Times, 1904-18. Aehrenthal Alois, Baron Lexa Von (Count from 1909) [1854-1912]. Austro-Hungarian Ambassador at St. Petersburgh [1899-1906; Minister for Foreign Affairs, 1906-1912. H.R.H. Prince Alexander, Crown Prince of Servia since 1909. Amet, Contre-Amiral (later Vice-Amiral) Jean François Charles [1861-1940]. Commanded Allied Squadron in the Aegean, 1918. Arif Pasha, Turkish Governor of Adrianople, 1907; Minister of Marine, 1909. Asquith, Herbert Henry [1852-1928]. Liberal MP, 1886-1918, 1920-4. Home Secretary, 1892-5; Chancellor of the Exchequer, 1905-8; Prime Minister, 1908-16; Secretary of State for War, 30 March-5 August, 1914. Augagneur, Victor [1855-1931]. French Minister of Marine, 1914-8. Babington-Smith, Sir Henry [1863-1923]. Director of the National Bank of Turkey, 1909-13. Ballard, Rear-Admiral George Alexander [1862-1948]. Assistant Director of the Intelligence Department; Director of the Operations Division, Admiralty; Admiral of Patrols, East Coast, 1914-16; Senior Naval Officer, Malta, 1916-18. Barclay, Mr. C. A. De R.2nd Secretary at British Embassy at Paris, 1900-4; at Rio de Janeiro, 1904-6; 1st Secretary at British Legation at Bucharest, 1907-8 (sometimes Chargé d’Affaires); at Sofia, 1908. Barclay, Mr. (since 1908, Sir) G. H. [1862-1921]. 2nd Secretary at British Embassy, Constantinople, 1898-1902; Secretary of Legation (later Councillor) at Tokyo, 1902-6; Councillor of Embassy at Constantinople, 1906-8 (sometimes Chargé d’Affaires); Minister at Tehran, 1908-1912; at Bucharest, 1912-18. Barrère, M. Camille, French Ambassador at Rome, 1897-1924. Barrington, Sir Eric, Private Secretary to the Marquess of Lansdowne, 1900-5; Assistant Under-Secretary of State for Foreign Affairs, 1906-7. Bayly, Vice-Admiral Sir Lewis [1857-1938]. Commander of the 3rd Battle Squadron, 1913-4; 1st Battle Squadron, 1914-15. Bax-Ironside, Sir Henry George Outram [1859-1929]. British Minister at Berne, 1909-11; at Sofia, 1911-15. Beaumont, Sir Henry [1867-1949]. Counsellor at Athens, 1910-4; Counsellor at Constantinople, 1914 (Chargé d’Affaires July-August 1914). Benckendorff, Count Alexander [1849-1917]. Russian Ambassador at London, 1903-17. Berchtold, Leopold, Count Von [1863-1942]. Austro-Hungarian Ambassador at St. Petersburgh, 1906-11; Minister for Foreign Affairs, 1912-15. Bethmann-Hollweg, Herr Theobald von [1856-1921]. Prussian Minister of the Interior, 1905-7; German Minister for the Interior, 1907-9; German Imperial Chancellor, 1909-17. Bienaimé, Amiral Amadée, Conducted the French parliamentary inquiry into the Goeben affair. Black, Sir Frederick William [1863-1930]. Director of Naval Contracts, 1905-15; managing director, Anglo-Persian Oil Company, 1919-23. Block, Sir Adam Samuel James [1865-1941]. Chief Dragoman to the British Embassy at Constantinople [1894-1903; Representative of the British and Dutch Bondholders on the Council of the Ottoman Public Debt, 1903; President of the British Chamber of Commerce from 1907 to 1914. Bompard, M. Maurice [1854-1935]. French Ambassador at St Petersburg, 1902-8; at Constantinople, 1909-14. Bridgeman, Admiral Sir Francis Charles [1848-1929]. 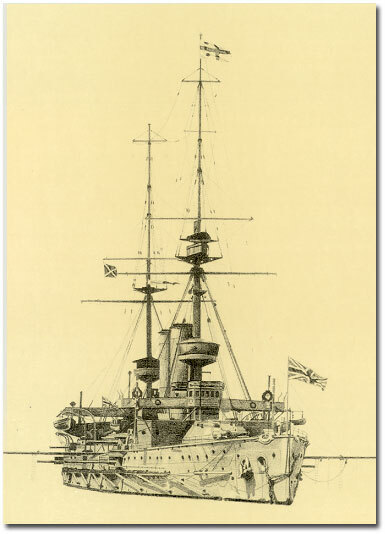 Commander-in-Chief, Home Fleet, 1907-9; First Sea Lord, 1911-2. Removed to make way for Battenberg. Brodrick, William St. John Fremantle (9th Viscount Midleton & 1st Earl of Midleton) [1856-1942]. Conservative MP [1880-1906; Secretary of State for War, 1900-3. Brown, Captain (later Vice-Admiral) Francis Clifton [1874-1963]. Head of the Naval Mission to Greece, 1917-19. Buchanan, Sir George William [1854-1924]. British Agent and Consul-General in Bulgaria, 1903-9; Ambassador at St Petersburg, 1910-18; at Rome, 1919-21. Bülow, Herr Alfred Von, German Minister at Berne, 1898-1912. Bülow, Bernard Count Von (since 1905, Prince) [1849-1929]. German Imperial Chancellor, 1900-09. Calice, Heinrich Baron Von, Austro-Hungarian Ambassador at Constantinople, 1880-1906. Callwell, Major-General Charles Edward [1859-1928]. Intelligence Branch, War Office [1887-92. Retired from the Army in 1909 and recalled to the active list in 1914. Director of Military Operations and Intelligence, 1914-6. Cambon, M. Jules, French Ambassador at Madrid, 1902-7; at Berlin, 1907-14. Cambon, M. Paul [1843-1924]. French Ambassador at London [1898-1920. Campbell-Bannerman, Sir Henry [1836-1908]. Liberal MP [1868-1908; Prime Minister, 5 December 1905-4 April 1908. Carden, Vice-Admiral Sackville Hamilton [1857-1930]. Admiral Superintendent, Malta, 1912-4; Commander of the Anglo-French Squadrons in the Eastern Mediterranean 20 September 1914-16 March 1915. Carnegie, Mr. L. D.Councillor of British Embassy at Vienna, 1907-8 (sometimes Chargé d’Affaires). Cartwright, Sir Fairfax L. [1857-1928]. Councillor of British Embassy at Madrid, 1905-6; Minister Resident at Munich and Stuttgart, 1906-8; Ambassador at Vienna, 1908-13. Cassel, Sir Ernest [1852-1921]. British Financier. Chamberlain, Right Hon. Joseph [1836-1914]. Secretary of State for the Colonies, 1895-1903. Chamberlain, Joseph Austen [1863-1937]. Conservative MP, 1892-1937. Chancellor of the Exchequer, 1903-5. H.M. King Charles I, King of Roumania, 1881-1914. Chirol, Mr. (later Sir) Valentine [1852-1929]. Director of the Foreign Department of the Times, 1899-1912. Church, Captain W. D.Captain, HMS Weymouth, 1914. Churchill, Sir Winston [1874-1965]. President of the Board of Trade, 1908-10; Home Secretary, 1910-11; First Lord of the Admiralty, 1911-5. Clemenceau, M. Georges [1841-1929]. French Minister of the Interior, 1906; Premier and Minister of the Interior, 1906-9; Premier and Minister of War, 1917-20. Clerk, Sir George R. [1874-1951]. First Secretary at Constantinople, 1910-2; Senior Clerk at the Foreign Office (Eastern Department), 1913-4. Condouriotis, Admiral Paul, Commander-in-Chief, Greek navy, 1914. Constans, M. Jean E. [1833-1913]. French Ambassador at Constantinople 1899-1909. Constantine [1868-1923]. King of Greece, 1913-17 and 1920-2. Coode, Captain Charles Penrose Rushton [1870-1939]. Commanded 5th destroyer flotilla, 1914-17. Corbett, Sir Julian [1854-1922]. Naval historian. Cradock, Rear-Admiral Sir Christopher [1862-1914]. Rear-Admiral Commanding North America & West Indies Station, 1913-14. Killed at Coronel. Crawford, Sir Richard Frederick [1863-1919]. Customs Adviser to the Ottoman Government, 1904-11; Adviser to the Ottoman Ministry of Finance, 1911-14. Crease, Commander Thomas Evars [1875-1942]. Naval Assistant to the First Sea Lord, 1914-15. Crewe, Marquess [1858-1945]. Secretary of State for the Colonies, 1908-10; Secretary of State for India, 1910-15. Cromer, 1st Earl of (Evelyn Baring) [1841-1917]. British Consul-General and Agent in Egypt [1883 [1885-1907. Crozier, M.French Ambassador at Vienna, 1907-12. Culme-Seymour, Rear-Admiral (later Vice-Admiral Sir) Michael [1867-1925]. Director of Mobilization, Admiralty, 1916-18; commanded British Aegean Squadron, 1918. Cunliffe-Owen, Major Frederick [1868-1946]. Attached to the Greek Army during the Balkan Wars, 1912-3; Military Attaché to Turkey, 1913-4. Lieutenant-Colonel, October 1914. Curzon of Kedleston, George Nathaniel, 1st Baron [1859-1925]. Parliamentary Under-Secretary of State for Foreign Affairs [1895-8; Viceroy and Governor-General of India, 1899-1905. Darrieus, Contre-Amiral (later Vice-Amiral) Pierre Joseph Gabriel Georges [1859-1931]. Commanded Division des écoles de la Méditerranée, 1913; commanded 3e escadre (Syrian Coast), 1914-15; commanded 2e escadre, 1916-18. Dartige du Fournet, Vice-Amiral Louis René [1856-1940]. Senior Admiral of International Squadron at Constantinople, 1912-13; Préfet Maritime, Bizerta, 1913-15. De Bunsen, Sir Maurice William Ernest [1852-1932]. First Secretary and Chargé d’Affaires at Constantinople [1897-1902; at Paris, 1902-5; Minister at Lisbon, 1905-6; Ambassador at Madrid, 1906-13; at Vienna, 1913-14. Delcassé, M. Théophile [1852-1923]. French Minister of Foreign Affairs 1898-1905 and 1914-9. Demidov, Alim Pavlovich, Prince of San Donato, Russian Minister to Athens, 1912-7. De Salis, Midshipman (later Captain) A. F.Midshipman, HMS Defence, 1914. Deterding, Henri Wilhelm August [1866-1939]. Director-General of Royal Dutch Petroleum. Deville, Gabriel Pierre [1854-1940]. French Minister to Athens, 1909-15. Dewar, Commander (later Vice-Admiral) Kenneth [1879-1964]. Commander, HMS Prince of Wales, Home Fleet, 1914. Dickens, Commander (later Admiral Sir) Gerald Charles [1879-1962]. Commanded HMS Harpy, 5th destroyer flotilla, 1914. Dillon, Dr. Emile Joseph [1854-1933]. Philologist, author and journalist. Daily Telegraph correspondent [1887-1914. Djavid Pasha [1875-1926]. Turkish Deputy for Salonica, member of the CUP inner circle. Minister of Finance, 1909-11, 1912, and from January 1913. Djemal Pasha, Ahmed [1872-1922]. Member of the CUP Central Committee. Vali of Adana, 1909; of Baghdad, 1911; Military Governor of Constantinople, 1913; Minister of Public Works, 1914; Minister of Marine, 1914; commanded the 4th Army in Syria, 1914-7; Minister of Marine, 1917-8; assassinated. Djevad Bey, Turkish Councillor of Embassy at London, 1908-14. Domvile, Commander Barry, Assistant Secretary, Committee of Imperial Defence, 1914. Dönitz, Karl, Junior officer, SMS Breslau, 1914. Douglas, General Sir Charles Wittingham Horsley [1850-1914]. Chief of the Imperial General Staff, 4 August-25 October, 1914. Dumas, Captain (later Admiral) Philip Wylie [1868-1948]. Naval Attaché, Germany, Denmark and Holland, 1906-8; Secretary, Royal Commission on Oil Fuel, 1912-13; commanded HMS Roxburgh, 1913-14; Assistant Director of Torpedoes, Admiralty, 1914-17; commanded HMS Agamemnon, 1917-18. Durham, Miss M. E. [1863-1944]. Balkan Correspondent of the Manchester Guardian, etc. Edhem Pasha, Marshal, Turkish Minister of War, 1909. Eldridge, Mr. E. F. A. J.British Acting Vice-Consul at Smyrna 1894-7; 1901-6; Acting Consul-General, 1903-14. Elliot, Sir Francis Edmund Hugh [1851-1940]. British Agent and Consul-General in Bulgaria 1895-1903; Minister at Athens, 1903-17. Emin Pasha, Turkish Minister of Marine, 1909. Enver Pasha [1882-1922]. Turkish Military Attaché at Berlin, 1909, 1912, 1913; served in the Italo-Turkish War, 1912; Lieutenant-Colonel, 1913; Major-General and Minister of War from 1914; commanded the Turkish Army in the Caucasus, 1914-5; assassinated. Errington, Viscount (since 1917, 2nd Earl of Cromer), Private Secretary to Sir Charles Hardinge, 1907-10. Erskine, Rt Hon. Sir William [1871-1952]. Second son of the 11th Earl of Mar and Kellie. First Secretary, British Legation, Athens, 1913-17. Esher, 2nd Viscount (Reginald Baliol Brett) [1852-1930]. Liberal MP 1880-5. A permanent member of the Committee of Imperial Defence, 1905-18. Essad Pasha, Commander of the Turkish IIIrd Army Corps, 1907-8. Leader of a provisional Albanian Government from October 1914. Ewart, Lt-Gen. Sir John Spencer [1861-1930]. Director of Military Operations, 1906-10. Eyres, Mr. (later Sir) H. C. A.British Consul-General at Constantinople, 1905-14. Fakhri Pasha, Ferik, Turkish Vali of Monastir, 1908. Fallières, M. Armand [1841-1931]. President of the French Republic, 1906-13. Fehim Pasha, Head of the Secret Police in Constantinople. HRH Prince Ferdinand of Bulgaria 1887-1909; HM the King of Bulgaria, 1909-18 [1861-1948]. Ferid Pasha, Turkish Grand Vizier, 1903-8; Minister of the Interior, 1908-9. Fisher, Admiral Sir John Arbuthnot (later Admiral of the Fleet, Lord Fisher of Kilverstone) [1841-1920]. Commander-in-Chief of the Mediterranean Squadron, 1900-2; Second Sea Lord, 1902; C-in-C, Portsmouth, 1903; First Sea Lord, 1904-10 and October 1914-May 1915. Head of the Royal Commission on Fuel and Engines, 1912-4. Created Baron, 1909. Fitzmaurice, Lord Edmond George (since 1906, 1st Baron Fitzmaurice of Leigh) [1846-1935]. Parliamentary Under-Secretary of State for Foreign Affairs 1883-5, 1905-8. Fitzmaurice, Gerald Henry [1865-1939]. Student Interpreter 1888; acting Vice-Consul at Van, 1891-2; at Erzeroum, 1892-3; at Trebizond, 1893; acting Third Dragoman at British Embassy, Constantinople, 1894-5; Vice-Consul at Smyrna, 1895-6; at Adana, 1896; Third Dragoman, 1897; Consul at Salonica, 1900-1; at the Dardanelles, 1902; Consul at Constantinople, 1905; 2nd Dragoman at Embassy at Constantinople, 1906-7; Chief Dragoman, 1907-12. Franchet d’Esperey, General (later Marshal) Louis Félix [1856-1942]. Fifth Army, 1914; commanded Army Group of the East, 1916; Army Group of the North, 1917; Army Group of the Centre, 1918; Allied C-in-C, Salonica, June-November 1918. H.I.M. Franz Jospeh I [1830-1916]. Emperor of Austria from 1848 and King of Hungary from 1867. Fremantle, Rear-Admiral (later Admiral Sir) Sydney [1867-1958]. Prosecutor, Troubridge court-martial; commanded British Aegean Squadron, 1917-18; Deputy Chief of the Naval Staff, 1918-19. French, Field-Marshal Sir John Denton Pinkstone [1852-1925]. Chief of the Imperial General Staff, 1912-4; Commander-in-Chief of the British Expeditionary Force, 1914-1915. Gamble, Rear-Admiral (later Admiral) Douglas Austin [1856-1934]. Naval Adviser to Turkish Government, 1909-10; commander, 6th Cruiser Squadron, 1910-4; 4th Battle Squadron, 1914-5; Admiralty War Staff, 1915-17. Gauchet, Vice-Amiral Dominique Marie [1857-1931]. Directeur, Service des Travaux, 1914; commanded French Squadron at the Dardanelles, 1915-16; nominal Allied C-in-C, Mediterranean, 1916-19. Gauthier, Dr Armand Elzéar, French Minister of Marine, 1914. Gennadius, John [1844-1932]. Greek Minister to London, 1910-8. George, David Lloyd [1863-1945]. Liberal MP [1890-1931. Chancellor of the Exchequer, 1908-15; Minister of Munitions, 1915-16; Prime Minister & First Lord of the Treasury, 1916-22. Ghazi Ahmed Mukhtar, Pasha [1839-1918]. President of the Turkish Senate, 1911; Grand Vizier, July-October 1912. Giers, M. Michael Nikolaevich de [1856-1924]. Russian Minister at Bucharest, 1902-12; Ambassador at Constantinople, 1912-4; at Rome, 1915-7. Girouard, Edouard Percy Cranwill [1867-1932]. Director of Armstrong, Whitworth & Co.1912; Director-General of Munitions Supply, 1915-7. Goltz, General Colmar von der [1843-1916]. German general on loan to reorganize the Ottoman Army, 1883-95, 1908-11; Commander, 1st Turkish Army, Mesopotamia, April 1915-April 1916. Goschen, Sir William Edward [1847-1924]. British Ambassador at Vienna, 1905-8; at Berlin, 1908-14. Gough-Calthorpe, Vice-Admiral (later Admiral of the Fleet) Sir Arthur [1864-1937]. Commanded 2nd Cruiser Squadron, 1914-16; Second Sea Lord, 1916; C-in-C, Mediterranean, 1917-19. Graves, Mr (later Sir) Robert W. [1858-1934]. British Consul-General at Salonica, 1903-8; Delegate on the International Financial Commission in Macedonia, 1907; Adviser to the Ottoman Ministry of Finance, 1909-14; Inspector-General and Adviser to the Ottoman Ministry of the Interior, 1914. Greene, Sir William Graham [1857-1950]. Principal Clerk, Admiralty, 1902-7; Assistant Secretary, 1907-11; Permanent Secretary, 1911-7. Grey, Sir Edward (since 1916, Viscount) [1862-1933]. Secretary of State for Foreign Affairs, 11 December 1905 — 11 December 1916. Grierson, Major-Gen. Sir James Moncrieff [1859-1914]. Director of Military Operations, 1904-6. Gryparis, M.Greek Minister at Constantinople, 1903-10. Guépratte, Contre-Amiral (later Vice-Amiral) Emile Paul Aimable [1856-1939]. Commanded division de complément, August 1914; Escadre des Dardanelles, September 1914-May 1915. Guéshov, M. Ivan E. Prime Minister and Foreign Minister of Bulgaria. Guéshov, M. Ivan S. Bulgarian Diplomatic Agent and Minister at Constantinople, 1906-9. Gwinner, Herr Arthur von, Director of the Deutsche Bank. Hakki, Pasha [1863-1918]. Turkish Minister of the Interior and of Public Instruction, 1908-9; Ambassador to Rome, 1909-10; Grand Vizier, January 1910-September 1911; conducted negotiations with the British Government regarding Mesopotamia and the Persian Gulf, 1913-14. Haldane, Richard Burdon (since 1911, 1st Viscount) [1856-1928]. Liberal MP [1885-1911. Secretary of State for War, 1905-12; Lord Chancellor, 1912-5. Halil, Pasha, Chairman of the Turkish Chamber of Deputies. Halim, Pasha, Mehmed Saïd [1863-1921]. President of the Council of State, 1912; Minister for Foreign Affairs and Grand Vizier, 1913-17. Hall, Rear-Admiral (later Admiral Sir) William Reginald [1870-1943]. Director of the Intelligence Division at the Admiralty, 1914-8. Hamilton, Vice-Admiral Sir Frederick Tower [1856-1917]. Second Sea Lord, 1914-6. Hanbury-Williams, General Sir John [1859-1946]. Chief of the British Military Mission, Russian Army in the Field, 1914-7. Hankey, Maurice Pascal Alers (later 1st Baron Hankey) [1877-1963]. Entered Royal Marine Artillery, 1895; Captain, 1899. Naval Intelligence Department, 1902-7; Assistant Secretary of the Committee of Imperial Defence, 1908-12; Secretary, C.I.D.1912-38; of the War Council, November 1914-May 1915; of the Dardanelles Committee, May-November 1915; of the Cabinet War Committee, December 1915-December 1916; of the War Cabinet, 1916-8. Lieutenant-Colonel, Royal Marines, 1914. Hardinge, Sir Charles (since 1910, 1st Baron Hardinge of Penshurst) [1858-1944]. Assistant Under-Secretary of State for Foreign Affairs, 1903-4; Ambassador at St. Petersburg, 1904-6; Permanent Under-Secretary of State for Foreign Affairs, 1906-10; Viceroy and Governor-General of India, 1910-6; Ambassador at Paris, 1920-2. Hayes-Sadler, Rear-Admiral (later Vice-Admiral) Arthur [1863-1952]. Commanded HMS Ocean, 1914-15; Rear-Admiral, Salonica and Piraeus, 1916-17; commanded British Aegean Squadron, 1918. Relieved by the Admiralty after the Goeben sortie of January 1918. Hicks-Beach, Sir M.Chancellor of the Exchequer, 1895-1902. Holbrook, Lieutanent Norman, VC. Commanded submarine at Dardanelles, 1914. Hopwood, Sir Francis John Stephens [1860-1947]. Additional Civil Lord, Admiralty, 1912-7. Huguet, Major (later Colonel), French Military Attaché at London, 1906-11. Humann, Korvettenkapitän Hans, Son of a noted archaeologist. Commander of the German Naval base (Etappenkommando), Constantinople, 1914. Formerly commander of Loreley, the German stationnaire at the Porte. Husni, Pasha, Turkish Ambassador at St Petersburg, 1889-1908. Hussein Hilmi, Pasha [1855-1923]. Turkish Inspector General of Macedonia, 1902-8; Minister of the Interior, 1908-9; Grand Vizier, 1909; Ambassador at Vienna, 1912-18. Hussein Husni Pasha, Turkish Commander of the Investing Army, 1909. Ibrahim Pasha, Commander in Chief of Turkish IIIrd Army Corps, 1908-9. Ibrahim Fethi Pasha, Turkish Minister at Belgrade, 1897-1908. Ibrahim Hakki Pasha, Legal Adviser to the Sublime Porte, 1906; Minister of the Interior and Public Instruction, 1909; Minister for Foreign Affairs, 1909-11. Isvolsky, M. Alexander [1856-1919]. Russian Minister for Foreign Affairs, 1906-10; Ambassador at Paris, 1910-7. Jackson, Admiral Sir Henry Brawardine [1855-1929]. Commanded RN War College, 1911-13; Chief of Admiralty War Staff, 1913; was destined to replace Milne as C-in-C, Medt.1914, but appointment rescinded; First Sea Lord, May 1915-Decemebr 1916; President, RN College, Greenwich, 1916-19. Jackson, Rear-Admiral (later Admiral Sir) Thomas [1868-1945]. Director of the Intelligence Division, War Staff, 1912-13; Director of the Operations Division, January 1915-June 1917; C-in-C, Egypt and Red Sea, July 1917-January 1919. Jagow, Gottlieb von [1863-1935]. German Foreign Secretary, 1913-6. Jellicoe, Admiral (later Admiral of the Fleet) Sir John Rushworth [1859-1935]. Second Sea Lord, 1912-14; Commander-in-Chief of the Grand Fleet, 1914-6; First Sea Lord, 1916-7. Created Viscount, 1918; 1st Earl, 1925. Jevad Bey, Turkish Councillor of Embassy at London, 1908-14. Joffre, General Joseph Jacques Césaire [1852-1931]. Chief of French General Staff, 1911; C-in-C, French Armies in north and north-east, 1914; C-in-C of French Armies in the west, 1915-16. Kelly, Captain (later Admiral Sir) William A. Howard [1873-1952]. 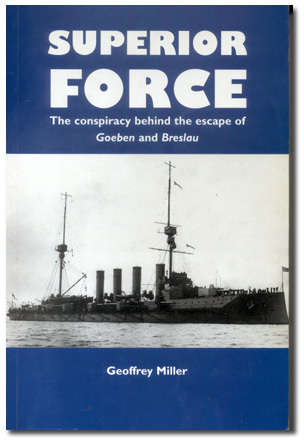 Commanded HMS Gloucester, 1914-16; liaison officer at French Ministry of Marine, 1916-17. Kelly, Captain John D. [1871-1936]. Commanded HMS Dublin, 1914. Kennedy, Captain Francis, Commanded HMS Indomitable, 1914. Kerr, Philip Henry (later 11th Marquess of Lothian) [1882-1940]. Secretary to Lloyd George, 1916-21. Kerr, Rear-Admiral (later Admiral) Mark Edward Frederic [1864-1944]. Naval Attaché, Italy, Austria, Turkey and Greece, 1903-4. Head of the British Naval Mission to Greece and Commander-in-Chief of the Greek Navy, 1913-5; first flag officer to qualify as a pilot, 1914; Commander-in-Chief of the British Squadron in the Adriatic, 1916-7; Major-General, Royal Air Force, 1918; Deputy Chief of the Air Staff, 1918. Kettner, Commander, Commanded SMS Breslau, 1914. Kiamil Pasha [1832-1913]. Turkish Grand Vizier, 1885-91, 1895; Vali of Smyrna, 1895-1906; Grand Vizier, August 1908-February 1909, October 1912-January 1913. Kiderlen-Waechter, Herr von. German Minister at Bucharest, 1899-1910; Attached to German Foreign Office, 1908-9; Minister for Foreign Affairs, 1910-2. Kühlmann, Herr Richard von [1873-1949]. Councillor of German Embassy at London, 1908-14; on missions to Turkey and Scandinavia, 1915-7; Secretary of State for Foreign Affairs, 1917-8. Lamb, Mr (since 1919, Sir) Harry Harling [1857-1948]. Chief Dragoman to the British Embassy at Constantinople, 1903-7; Consul-General at Salonica, 1907-13; at the Foreign Office, 1914-8. Lambert, Captain (later Admiral Sir) Cecil Foley [1864-1928]. 4th Sea Lord, 1913-6; commanded 2nd Light Cruiser Squadron 1916-18; commanded British Aegean Squadron, 1918. Lamsdorff, Count, Russian Minister for Foreign Affairs, 1901-6. Lansdowne, The 5th Marquess of, [1845-1927]. Secretary of State for Foreign Affairs, 12 November 1900 – 11 December 1905. Lapeyrère, Vice-Admiral Auguste Emmanuel Hubert Gaston Marie Boué de [1852-1924]. French Minister of Marine, 1909-11; C-in-C, Première Armée Navale, 1911-15; Vice-Admiral Commanding the Allied Naval forces, Mediterranean, 1914-5. Larken, Captain (later Admiral Sir) Frank [1875-1953]. Commanded HMS Doris in Eastern Mediterranean, 1914-16. Lascelles, Sir Frank Cavendish [1841-1920]. British Ambassador at Berlin, 1895-1908. Law, Andrew Bonar [1858-1923]. Conservative MP, 1900-10, 1911-23. Leader of the Opposition from 1911. Le Bris, Vice-Amiral Pierre Ange Marie [1856-1940]. Directeur du service des travaux, 1912; conducted secret talks with Battenberg, 1913; commanded 2e escadre, 1914-15. Leveson, Rear-Admiral Arthur Cavenagh [1868-1929]. Director of the Operations Division, Admiralty, 1914-15. Liman von Sanders, General (later Field Marshal) Otto [1855-1929]. Head of the German Military Mission to Turkey, 1913-4; Inspector-General of Turkish Army, 1914; commanded Turkish 5th Army at Gallipoli, 1915-6. Limpus, Rear-Admiral (later Admiral) Sir Arthur [1862-1931]. British Naval Adviser to the Turkish Government, 1912-4; Admiral-Superintendent, Malta, 1914-6. Lloyd, George Ambrose (later 1st Baron) [1879-1941]. Honorary Attaché, Constantinople, 1905-7. Long, Walter (later 1st Viscount Long) [1854-1924]. Conservative MP, 1880-1921. Lowther, Sir G. A. [1858-1916]. British Minister at Tangier, 1905-8; Ambassador at Constantinople, 1908-13. Lynch, H. F. B. [1862-1913]. Partner in the Euphrates Steam Navigation Company. Lyttelton, Hon. Sir Neville, General, Chief of the General Staff, War Office, 1904-8. McKenna, Reginald [1863-1943]. Liberal MP, 1895-1918. First Lord of the Admiralty, 1908-11; Home Secretary, 1911-5; Chancellor of the Exchequer, 1915-6. Mackenzie, Sir Edward Montague Compton [1883-1972]. Author; worked for British Intelligence in Greece from 1915. Mahmud Mukhtar Pasha, Turkish Commander of 1st Army Corps, 1909. Malinov, M.Bulgarian President of the Council, 1908-11. Mallet, Sir Louis du Pan [1864-1936]. Assistant Clerk, British Foreign Office, 1902-5; Private Secretary to Sir Edward Grey, 1905-6; Senior Clerk, 1906-7; Assistant Under-Secretary of State for Foreign Affairs, 1907-13; Ambassador at Constantinople, 1913-14. Marling, Mr (later Sir) Charles M. [1862-1933]. Councillor of British Embassy at Tehran, 1906-8; Councillor and Chargé d’Affaires at Constantinople, 1908-13. Marschall von Bieberstein, Adolf Baron [1842-1912]. German Ambassador at Constantinople, 1897-1912; at London, 1912. Marsh, Sir Edward [1872-1953]. Private Secretary to Churchill from 1905. Masterton-Smith, James Edward [1878-1938]. Private Secretary to the First Lord of the Admiralty, 1910-17. Maxwell, Mr R. P.Senior Clerk in British Foreign Office, 1902-13. May, Admiral of the Fleet Sir William [1849-1930]. Third Sea Lord, 1901; C-in-C, Atlantic Fleet, 1905; Second Sea Lord, 1907; C-in-C, Home Fleet, 1909-11; C-in-C, Plymouth, 1911-13. Mehmed Reshad Effendi [1844-1918]. Sultan of Turkey, 1909-18. Mehmed Riza Pasha. Turkish Minister of War, 1895-1908. Mensdorff-Pouilly-Dietrichstein, Albert Count [1861-1945]. 1st Secretary at the Austro-Hungarian Embassy at London, 1904; Ambassador at London, 1904-14. Mercier de Lostende, Capitaine de Vaisseau (later Contre-Amiral) [1860-1950]. French Naval Attaché at London, 1905-11; 1916-18. Metternich, Count Paul von Wolff-, German Ambassador at London, 1901-12. Meux, Admiral Sir Hedworth [1856-1929]. C-in-C, Portsmouth, 1912-16; President of the Court of Inquiry convened to investigate Troubridge’s conduct. Millerand, Alexandre [1859-1943]. French Minister of War, January 1912-January 1913 and January 1914-October 1915. Milne, Admiral Sir Archibald Berkeley [1855-1938]. Second in command, Atlantic Fleet, 1905; second in command, Channel, 1908; commanded 2nd division, Home Fleet, 1909-10; Commander-in-Chief of the Mediterranean Squadron, 1912-4. Milne, Lt-General (later Field Marshal) Sir George Francis [1866-1948]. Chief Staff Officer, III Corps, 1914; commanded 27th Division, 1915; commanded XVI Corps, 1916; Commander-in-Chief, British Salonica Force, 1916-18. Milovanovic, M.Serbian Minister for Foreign Affairs, 1908-12. Moore, Admiral Sir Archibald Gordon [1862-1934]. Naval assistant to Admiral Fisher, 1907-8; Director of Naval Ordnance and Torpedoes, 1909-12; Third Sea Lord, 1912-14; Commander of the 2nd Battle Cruiser Squadron, 1914. Morgenthau, Henry [1856-1946]. American Ambassador at Constantinople, 1913-6. Morley, John, Viscount Morley [1838-1923]. Liberal MP, 1883-1908. Secretary of State for India, 1905-10; Lord President of the Council, 1910-4. Murray, General Sir James Wolfe [1853-1919]. Chief of the Imperial General Staff, October 1914-September 1915. Musurus Pasha, Turkish Ambassador at London, 1903-8. Napier, Lt.-Col. Henry Dundas [1864-1941]. British Military Attaché at Belgrade, 1908-14. Nazim Bey, Head of Military police at Salonica, 1908. Niaza Bey, Major. C.U.P. activist. Conducted a guerrilla campaign in the vicinity of Monastir after fleeing from Resna on 3 July 1908. H. I. M. Nicholas II [1868-1918]. Emperor of Russia, 1894-1917. Nicholson, Field Marshal Sir William Gustavus (since 1912, 1st Baron) [1845-1918]. Chief of the Imperial General Staff, 1908-12. Nicolson, Sir Arthur (since 1916, 1st Baron Carnock) [1849-1928]. British Ambassador at Madrid, 1905-6; at St Petersburg, 1906-10; Permanent Under-Secretary of State for Foreign Affairs, 1910-16. Noble, Saxton William Armstrong [1863-1942]. Managing Director, Armstrong, Whitworth and Company. O’Beirne, Mr H. J. [1866-1916]. British Councillor of Embassy at St Petersburg, 1906-15. O’Conor, Sir Nicolas [1843-1908]. British Ambassador at Constantinople, 1898-1908. Oliver, Vice-Admiral (later Admiral of the Fleet) Sir Henry Francis [1865-1965]. Naval assistant to Sir John Fisher, 1908-10; Director of Naval Intelligence, 1913-4; Chief of the Admiralty War Staff, November 1914-17. Osman Pasha, , Marshal of the Turkish Army, 1909. Osten-Sacken, Count, Russian Ambassador at Berlin, 1895-1912. Ostrorog, Leon, Legal Adviser to the Porte, 1898-1914; later a Director of Armstrong’s. Ottley, Rear-Admiral Sir Charles Langley [1858-1932]. Director of Naval Intelligence, 1905-7, Secretary of the Committee of Imperial Defence, 1907-12; Director of Armstrong, Whitworth & Company, 1912-7. Pakenham, Captain (later Admiral Sir) William [1861-1933]. Present as observer at Tsushima, 1904; Fourth Sea Lord, 1911; Rear-Admiral commanding 3rd Cruiser Squadron, Home Fleet, 1913; commanded 2nd Battle Cruiser Squadron, 1915; commanded Battle Cruiser Fleet, 1917. Paléologue, M. Maurice Georges [1859-1944]. French Minister at Sofia, 1907-12; Director of Political and Commercial Affairs, French Foreign Office, 1912-4; Ambassador at St Petersburg, 1914-17. Pallavicini, Jean, Marquis von [1848-1941]. Austro-Hungarian Ambassador at Constantinople, 1906-18. Parry, Lieutenant (later Admiral Sir) William Edward [1893-1972]. Lieutenant, HMS Grasshopper, 5th destroyer flotilla, 1914. Commanded HMS Achilles, Battle of the River Plate, 1939. Paschwitz, Vice-Admiral Hubert von Rebeur- [1863-1933]. Commanded Mittelmeerdivision, 1917-18. Peirse, Vice-Admiral Sir Richard Henry [1860-1940]. Commander, Allied Naval Forces on the Suez Canal, 1914-6. Pelletan, Camille, French Minister of Marine, 1902-5. Phillimore, Captain (later Admiral Sir) Richard Fortescue [1864-1940]. Captain, HMS Inflexible, from 28 August 1914. 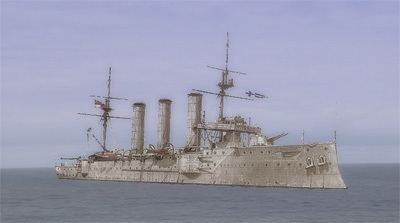 Commanded Inflexible at the battle of the Falkland Islands, 1914 and at the Dardanelles, 1915. Principal Beach Master during the landings at Gallipoli, 1915. Pichon, M. Stephan, French Minister for Foreign Affairs, 1906-11. Pohl, Admiral Hugo von, Chief of the German Admiralty Staff, 1914. Poincaré, M. Raymond Nicolas Landry [1860-1934]. French Minister for Finance, 1906; Prime Minister and Minister for Foreign Affairs, 1912-3, 1922-4, 1926-9; President of the French Republic, 1913-20. Popovic, M.Serbian Minister at St Petersburg, 1907-14. Power, Captain (later Admiral Sir) Laurence Eliot [1864-1927]. Captain Superintendent of Contract Work on the Tyne, 1912-15; Director of Dockyards and Repairs, 1915-23. Rear-Admiral, 1916; Vice-Admiral, 1920; Knighted, 1921; Admiral, 1925. Quadt, von Wykradt von, Count, German Minister to Athens, 1912-5. Rendel, George, Third Secretary at British Legation, Athens, 1914. Richmond, Captain (later Admiral Sir) Herbert William [1871-1946]. Assistant Director of the Operations Division, Admiralty, 1913-5. Rifaat Pasha [1860-1925]. Turkish Minister at Athens, 1898-1908; Ambassador at London, 1908-9; Minister for Foreign Affairs, 1909-11; Ambassador at Paris, 1911-14. Riza Bey, Ahmed [1859-1950]. Turkish President of the Chamber of Deputies, 1908-12. Riza, Captain Ali 1877-]. Turkish Naval Attaché, London, 1913-4. Riza Pasha, General, Turkish Minister of War, 1908. Rodd, Sir James Rennell [1858-1941]. British Ambassador at Rome, 1908-21. Runciman, Walter [1870-1949]. Liberal MP [1899-1900, 1902-18, 1924-31; National MP, 1931-7. President of the Board of Agriculture and Fisheries, 1911-4; President of the Board of Trade, 1914-6. Russell, Mr (since 1923, Sir) Theo.2nd Secretary at British Embassy at Berlin, 1903-5; Assistant Private Secretary to Sir E. Grey, 1905-8; 1st Secretary (later Counsellor of Embassy) at Vienna, 1908-14. Ryan, Andrew (later Sir Andrew) [1876-1949]. Second Dragoman at the British Embassy, Constantinople, 1907-14. Saïd Pasha (Küchük Saïd Pasha) [1838-1914]. Turkish Grand Vizier, 1882-5, 1895, 1901-3, 22 July-5 August 1908, September 1911-July 1912. Saint-Seine, Capitaine de vaisseau Jean Charles Just Bénigne de [1865-1954]. French Naval Attaché in London, 1911-6. Salisbury, The 3rd Marquis of [1830-1903]. Secretary of State for Foreign Affairs, 1895-1900; Prime Minister, 1895-1902. Samson, Major L. L. R. British Consul at Adrianople, 1906-13; head of British secret service in Greece, 1915. Samuel, Herbert Louis [1870-1963]. Postmaster-General, 1910-4; President of the Local Government Board, 1914-5. Sanderson, Sir Thomas H. (later Lord Sanderson), Permanent Under-Secretary of State for Foreign Affairs, 1894-1906. San Giuliano, Marquis di, Italian Minister for Foreign Affairs, 1905-6; Ambassador at London, 1906-10. Satow, Mr H. E.British Vice-Consul at Usküb, 1904-6; Acting Consul-General at Salonica, 1906-9. Sazonov, M. Sergei Dmitrievich [1866-1927]. Councillor of Russian Embassy at London, 1904-6; Agent to the Vatican, 1906-9; Russian Minister for Foreign Affairs, 1910-6. Schoen, Herr von, German Ambassador at St Petersburg, 1905-7; Minister for Foreign Affairs, 1907-10. Scott, Admiral Sir Percy [1853-1924]. Captain of the RN Gunnery School, 1903-5; Inspector of Target Practice, 1905. Hauled down flag 1909 but recalled to Admiralty for special service, 1914-18. Seely, John Edward Bernard (later Lord Mottistone) [1868-1947]. Secretary of State for War, 1912-4. Selborne, Earl of [1859-1929]. First Lord of the Admiralty, 1900-5. Selves, M. de, French Minister for Foreign Affairs, 1911-2. Shemshi Pasha, General of the Turkish Army, 1908. Slade, Vice-Admiral Sir Edmond John Warre [1859-1928]. Director of Naval Intelligence, 1907-8; attached to the Commission on Oil Fuel Supplies, 1912-4. Souchon, Rear-Admiral Wilhelm [1864-1933]. Commander of the German Mediterranean Squadron, October 1913-August 1914. Appointed Commander-in-Chief of the Turkish Navy, September 1914. Sowerby, Captain Charles, Commanded HMS Indefatigable, 1914. Spring-Rice, Sir Cecil A.Minister at Tehran, 1906-8. Stamfordham, Baron (Arthur John Bigge) [1849-1931]. Assistant Private Secretary to Queen Victoria, 1880-95; Private Secretary, 1895-1901; Private Secretary to Prince Geogre, 1901-10; to King George V, 1910-31. Stanley, Beatrice Venetia [1887-1948]. A cousin of Clementine Churchill and Asquith’s confidante. Stemrich, Herr, German Under-Secretary of State for Foreign Affairs, 1907-11. Stolypin, M.Russian Prime Minister, 1906-11. Sturdee, Rear-Admiral Sir Frederick Charles Doveton [1859-1925]. Assistant Director of Naval Intelligence, 1900-2; Rear-Admiral, Home Fleet, 1909-10; Chief of the Admiralty War Staff, 1914; Commander-in-Chief of the 4th Battle Squadron, 1915-8. Surtees, Colonel H. C.Military Attaché to the British Embassy at Constantinople and the Legation at Athens, 1905-9. Sydenham, 1st Baron (Sir George Clarke) [1848-1933]. Secretary to the Committee of Imperial Defence, 1904-7. Sykes, Sir Mark [1879-1919]. Conservative MP, 1910-9. Honorary Attaché at Constantinople, 1905-7; British negotiator of an inter-Allied territorial settlement for the Near East, 1916. Szögyényi-Marich, Count, Austro-Hungarian Ambassador at Berlin, 1892-1914. Talaat, Pasha, Mehmed [1874-1921]. Member of the Young Turk triumvirate, 1908. First Vice-President of the Turkish Chamber of Deputies, 1909; Minister for the Interior, 1909-1911; Minister of Post and Telegraph, 1912; Minister for the Interior, 1913-7; Grand Vizier, 1917-8; assassinated. Tcharykov, M. [1855-1930]. Assistant Secretary at Russian Ministry for Foreign Affairs, 1908-9; Ambassador at Constantinople, 1909-12. Tewfik Pasha, Ahmed [1845-1936]. Turkish Minister for Foreign Affairs [1895-1909; Grand Vizier, 1909; Ambassador at London, 1909-14. Tilley, Mr (since 1919 Sir) John A. C. [1869-1952]. Assistant Clerk, British Foreign Office, 1904-6; 1st Secretary at Constantinople, 1906-8; Senior Clerk, 1910-3. Tirpitz, Grossadmiral Alfred von [1849-1930]. Secretary of State for the German Navy, 1897-1916. Tisza, Count Stephan [1861-1918]. Hungarian Prime Minister, 1903-5, 1913-17. Assassinated, 1918. Tittoni, Signor, Italian Minister for Foreign Affairs, 1903-5, 1906-9. Townshend, Major-General Sir Charles [1861-1924]. Commanded 6th Indian Division, Mesopotamia, 1915-16. Prisoner of War after the siege of Kut, 1916-18. Troubridge, Rear-Admiral (later Admiral Sir) Ernest Charles Thomas [1860-1926]. Naval Attaché, Vienna, Madrid, Tokyo, 1901-4; Private Secretary to the First Lord, 1911; Chief of the Admiralty War Staff, 1912; Commander of the 1st Cruiser Squadron, Mediterranean, 1912-4; Head of the British Naval Mission to Serbia, 1915-16. Trummler, Rear-Admiral, Commanded the Mittelmeerdivision, 1912-13. Tschirschky, Herr von, German Minister for Foreign Affairs, 1906-7; Ambassador at Vienna, 1907-16. Tudor, Rear-Admiral Frederick C. T. [1863-1946]. Third Sea Lord from August 1914. Turkhan Pasha, Turkish Ambassador at St Petersburg, 1908-13. Tyrrell, Lt-Col. G. E. [1871-1917]. British Military Attaché, Constantinople, 1909-13; also at Athens, 1909-11 and Sofia 1911-3. Tyrrell, Sir William George [1866-1947]. Senior Clerk in the British Foreign Office, Private Secretary to Sir E. Grey, 1907-15. Usedom, Admiral Guido von, Commanded Turkish land defences, Bosphorus and Dardanelles, 1914-15. Vambéry, Arminius [1832-1913]. British Agent at Constantinople. Venizelos, Eleutherios [1864-1936]. Prime Minister of Greece, 1910-5, 1917-20, 1924, 1928-32, 1933. Vere, Arthur de Vere [1852-1916]. British resident and agent for Vickers in Constantinople until his return to London in October 1914. Wangenheim, Baron Hans Freiherr von [1859-1915]. German Minister at Athens, 1909-12; Ambassador at Constantinople, 1912-15. Weakley, Mr Ernest [1861-1923]. British Commercial Attaché at Constantinople, 1897-1914. Whitehead, Mr (since 1909, Sir) J. B.Secretary of British Embassy at Constantinople, 1902-3; Secretary and Councillor of Embassy at Berlin, 1903-6; Minister at Belgrade, 1906-10. Willcocks, Sir W. [1852-1932]. Adviser to Turkish Department of Public Works, 1900-11. Wilson, Admiral Sir Arthur Knyvet [1842-1921]. Commander-in-Chief of the Home and Channel Fleets, 1901-7; First Sea Lord, 1910-11; employed at the Admiralty in an unofficial capacity throughout the war. Wilson, General Sir Henry Hughes [1864-1922]. Director of Military Operations, 1910-4; chief liaison officer with the French Army, 1915. Wray, Captain (later Vice-Admiral) Fawcet [1873-1932]. Commanded HMS Defence, 1914. Young, Mr C. A.1st Secretary at British Legation at Athens, 1905-10. Zinoviev, M. I. A.Russian Ambassador at Constantinople, 1898-1909.